The Murray river meanders to the ocean through splendid Australian scenery, filling beautiful lakes, billabongs and lush wetlands along the way. 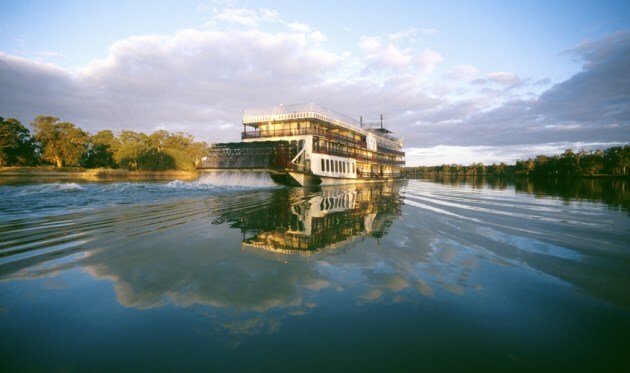 Take a cruise, hire a houseboat, or take a paddle steamer ride. You can even take the river all the way north or south. You can also drive the route, following the River Run Route. Some of the historic townships along the way are Renmark, Berri, and Loxton with their huge plantations of citrus and other fruit. Tailem is well worth a visit with its open air Old Tailem Pioneer Village, as well as Morgan, with some great historic buildings and wharves. Mannum, at the top end of the river, has a paddle steamer museum. There can be some great antique hunting in these towns. If you have the time, visit The Mallee Tourist and Heritage Centre at Pinnaroo. At Monarto there is the famous Monarto Zoological Park, where cheetahs roam alongside rhinos, giraffes and lions on a 1000 hectare open range zoo. They specialize in breeding programs for endangered species the world over. To really get away, you may wish to visit the Ngarkat, Mount Rescue, Mount Shaugh and Scorpion Springs conservation parks. 4WD are strongly recommended here, as the park is very large and isolated. Needless to say, but we will say it anyway, its a great way to experience the Australian Outback. The mouth of the river is also worth seeing - at Coorong National Park. See the Coorong National Park on the map South East South Australia Map. There is a great night time Eco tour at Swan Reach, where you can see the wildlife go about their wild life. Hire a canoe to take a paddle at Katarapko National Park at Loxton or take a canoe tour. Or take a river cruise in luxury. There are many other wildlife tours available along the river. Hundreds of Houseboats are available for hire along the Murray River in various towns along the way. That way, you can enjoy going somewhere or just doing nothing. 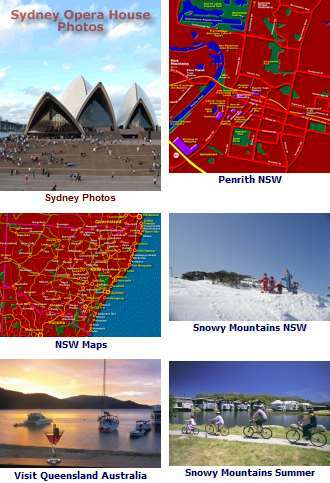 There are hotels, motels, caravan parks, holiday cottages, some very comfortable, to stay at. You can sample great local fare and wines at restaurants in all the major towns along the way. If your driving Barossa Valley is not a far detour and as great wine growing region offers sumpteous wining and dining as well, or you can take a cruise there from Mannum.